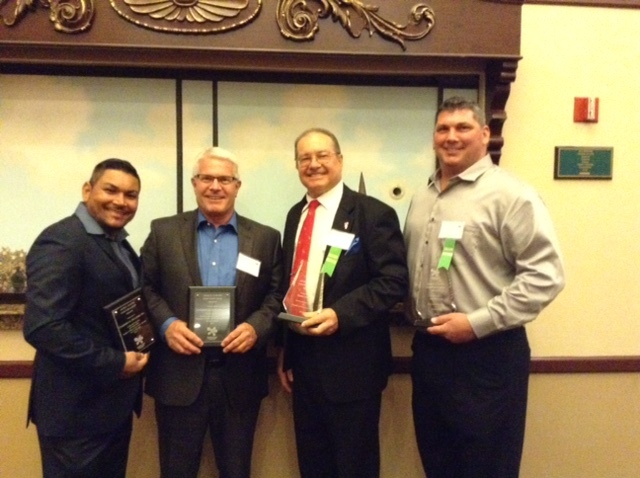 2017 CASF Craftsmanship Awards Dinner – Commercial Builders, Inc.
Commercial Builders, Inc. and employee’s Mark Horsch, Freddy Ramos and Joe Walker received the prestigious CASF (Contractors Association of South Florida) Craftsmanship Awards at the 2017 banquet held at Signature Grand in Davie, Fl. 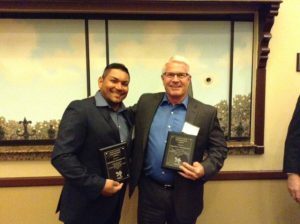 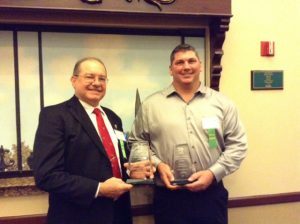 Mark Horsch received the award for our exterior framing at the Pembroke Retails located on SW 145th Street and Freddy Ramos and Joe Walker received their award for the EIFS (Exterior Insulation Finish System) on the Pompano Beach Library/Cultural Arts Center. 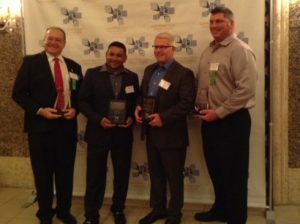 Congratulations to all of you for a job well done and the pride you all take in your work and your professional representation of our company on a daily basis!